The Titanic – Climate Change analogy is getting more uncanny. The latest assessment by the IPCC not only re-confirms the warming trajectory of the global climate but makes by far the most definitive assertion that humans are the cause. The Titanic was an ‘unsinkable’ ship carrying 2,224 people – the ultimate in size and luxury. As it headed towards North America, it received a series of warnings from other ships about drifting ice but chose to not heed them. Not one, but several warnings, each more emphatic than the previous one. 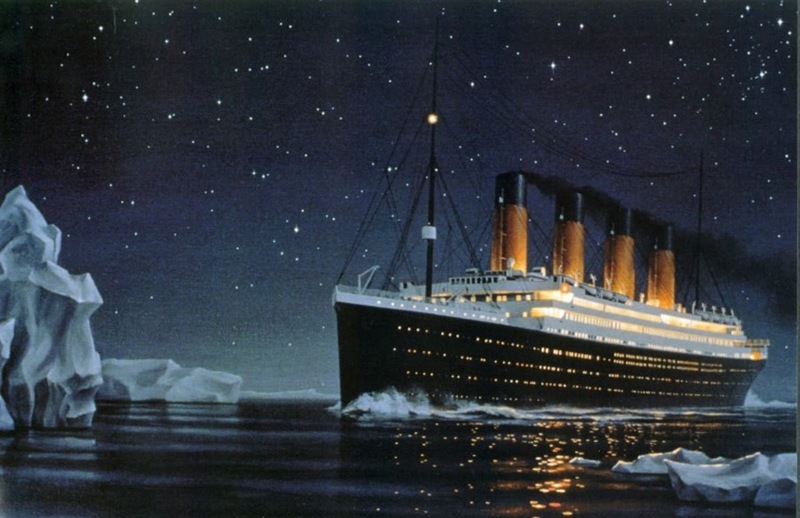 Instead of slowing down, more coal was shoveled into the boiler and the Titanic hurtled ahead at full-speed because it was believed that ice posed little danger to large vessels. After all, had any ship ever been lost to iceberg collision before? When the ship’s lookout saw an iceberg in the line of collision, it was already too late to turn around. The world’s most famous shipwreck was waiting to happen. There were not enough lifeboats to ferry everyone aboard. Third-class passengers were left to fend for themselves. About 1,500 people perished. As the world hurtles full speed across time, fuelled by dirty energy, enough warnings are coming in the form of the melting Arctic, torrential rainfall, scorching droughts, acidification of oceans, rising sea levels, increasing vulnerability to forest fires and more. The “third-class” poor are suffering the brunt of the calamities unleashed by climate change with their houses washed away, their livelihoods collapsing and their drying water sources being sucked even drier. Instead of concerted action to get a handle on the warming, the world’s most powerful are zealously preserving their extravagant lifestyles, still continuing to live as if there is no dearth of earths. Meanwhile, there are millions waiting in the wings to adopt the same lifestyle. Like the leisurely dining hall discussions in the Titanic prior to the crash, we are arguing whether the earth is going to warm by an average of 1.50C or 4.50C by the end of the century. We are quibbling about the ppm of CO2, the mm of rainfall and the m of sea-level rise. We are fighting over how much of greenhouse gas emissions each country is entitled to. And of course, we are wondering whether economic growth will be hampered. After all, even the Titanic executives were thinking of their bottom line on the way to destruction. The climate analogy has not escaped James Cameron, the filmmaker who immortalised the Titanic. “Part of the Titanic parable is of arrogance, of hubris, of the sense that we’re too big to fail,” he said on the National Geographic Channel recently. But turn we have to. Some of us could jump into the lifeboats of technology. However, it will still be hard to reach safe shores. The moment has come for the world’s population to turn with all its might towards the course to sustainability. Towards simpler, ecological lifestyles. Towards adaptation. For we are indeed too big to fail. In regard to climate change scientists and governments, the problem is, those with expertise have no power, and those with power have no expertise. Greed will always blind, and governments are easily swayed by blind power. Governments are voted in by the people to govern “for” the people, not “for” big business.